Even though tires and wheels are not really a mechanical item per se, I thought it fitting to place what the 1971 C-10 is riding on at this point in the web site section. Mainly because it follows the information on the 1971 C-10's suspension modifications and that a tire and wheel combination on a vehicle can either add or detract from the handling characteristics of a vehicle. Measure twice cut once is a term that really needs to be applied when one is determining the tire and wheel combination for their custom vehicle, especially so if the vehicle dynamics have changed drastically from the OEM configuration, like when the vehicle is drastically raised or lowered. Such is the case here with this 1971 Chevy C-10 pickup as it has a 3 inch drop all around. An added "pressure" to the critical nature of getting the tire / wheel dimensions correct in the case of the 1971 is that I was purchasing the tires and wheels from Summit Racing and there is NO RETURN on tires and wheels if you measured wrong. 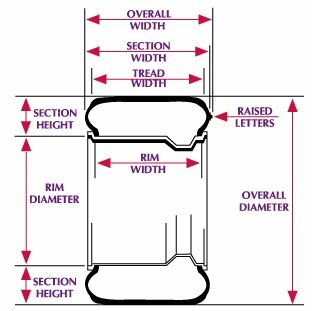 I just want to mention here that the Summit Racing Tech line people really know their stuff and ask you all the right questions and explain what measurements you need to have to obtain a proper wheel fit for your vehicle. So I would suggest calling Summit's Tech line first, no matter how "experienced" you are, and go over your measurements with them before you just up and order your tires and wheels. 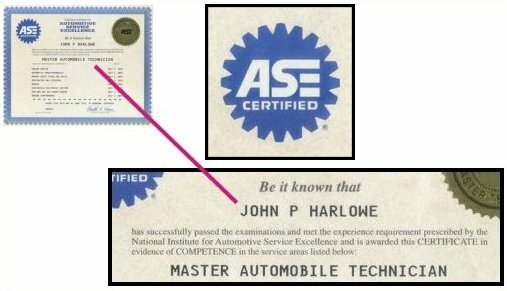 In any event, filling in the specifications on the particular tire / wheel set that you want to install on a vehicle in the Tire Fit Clearance and Backspace Measurement Charts shown above greatly assists in measuring clearances to determine if what you want will actually fit on what you have. Another good source for assistance is RIMS N TIRES. COM where they have a wheel / tire comparer which is very useful especially if you want to use different size tires on the front than on the rear of a vehicle. What really bugs me to no end is when I see a vehicle with custom wheels and tires that stick out from the fender-well. Not only does this look silly but it adversely effects the handling characteristics of a vehicle and the root cause of such a condition is an incorrect backspace on the wheel for the vehicle it is on. So the bottom line to all of this is, get all your specs for the wheel / tire combination you want and take the time and due diligence to check the front and rear clearances on the vehicle, you will end up with a wheel and tire combination that not only looks good but enhances handling as well. PHOTO M8 : MARCH 2011 : B F Goodrich Radial T/A's mounted on 15 X 8 Cragar SS wheels. After measuring clearances and side-wall aesthetics for several different wheel / tire combinations, what I decided would work best with the 1971 Chevy C-10 pickup in both handling performance and looks was a set of B F Goodrich P275/60R15 Radial T/A tires on all four corners mounted on Cragar 15 X 8 SS wheels having a 4 and 1/4 inch backspace. PHOTO M9 : MARCH 2011 : Black powder coated RideTech wheel plates installed behind the Cragar wheels of the 1971 Chevy C-10. As a finishing touch, I decided to install a set of RideTech black powder coated wheel plates behind the Cragar SS custom wheels. I have never really cared for the "open wheel" look that spoked custom wheels have, however, with the RideTech wheel plates, the "open spoke" wheel takes on a completely different look altogether. I think the wheel plates give the 1971 C-10 a much cleaner aesthetic along with keeping all that nasty brake dust from accumulating on the wheel. PHOTO M10 : MARCH 2011 : Overall passenger side view of the installed B F Goodrich Radial T/A's, the Cragar SS wheels and the RideTech black powder coated wheel plates on the 1971 Chevy C-10 pickup. PHOTO M11 : MARCH 2011 : Overall driver side view of the installed B F Goodrich Radial T/A's, the Cragar SS wheels and the RideTech black powder coated wheel plates on the 1971 Chevy C-10 pickup. 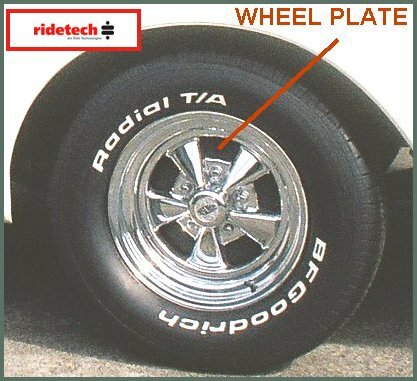 As you can see from the photos above, even though the B F Goodrich P275/60R15 Radial T/A's are rather beefy, the tires remain on the INSIDE border of the fender and there are no clearance issues, either in the front or rear of the 1971 C-10 pickup. I think the profile, i.e., the section height, of the tire fills in the wheel well opening rather nicely. I could have opted for 16 , 17 or 18 inch tires but I think the aesthetic of the larger diameter wheels and low profile tires is all wrong for 1970's Chevy pickup so I stayed with the 15 inch size. Remaining with the OEM diameter also makes it a little bit easier to find the correct speedometer gear for the transmission to compensate for a tire size different from stock, which the OEM speedometer gear is designed to read.